Many people want to invest in positive cash flow properties in a capital city. Here is a strategy that could get you an 8% yield in a capital city. A lot of people would love to invest in positive cash flow properties, but they also want a property in a capital city to have that security there and the potential for capital growth. 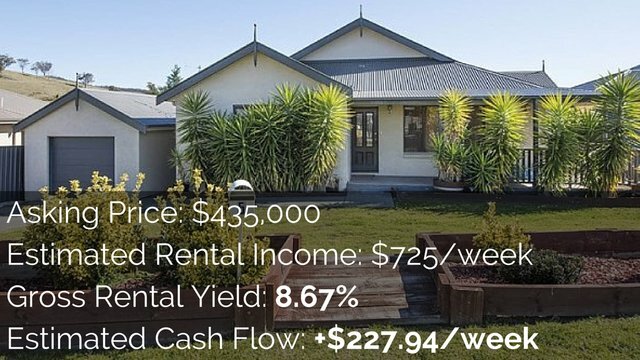 So today, I’m talking with Ben Everingham from Pumped on Property about how to get an 8% rental yield in a capital city. Ryan: Okay, so 8% in a capital city just sounds amazing. I have seen it in terms of properties with granny flats out in Western Sydney and things like that. They do come up from time to time, but they are quite rare. But, what we are going to be talking about today is how to take, not just any property, but how to take quite a few properties and to get a higher rental yield from a capital city. So if people are really desperate to buy in a capital city that’s a big part of their strategy, they can also achieve a higher rental yield and potentially positive cash flow as well. Ben: Yup and we’ve got to remember, just to set everyone’s expectations, that every capital city in Australia and local council area has different rules around this stuff so this is definitely not a one-size-fits-all. You have to talk to a planner in the local council as well. Let’s stop teasing people. Let’s stop keeping them in suspense. What is the strategy? Ben: Beautiful. A developer that I know and a builder recently sent me an example of this and this is how I was gotten on to the idea. I’ve also seen through the Dymphna Boholt network when I did their program a couple of years ago. But, basically, the concept is buying a vacant piece of land. Again, this is specific to Brisbane, but that’s where the market is at at the moment. That’s why I saw this opportunity. Ryan: Yeah. Because you can’t really buy a vacant in Sydney or it’s very hard to do. Ben: Yeah. Maybe find a knockdown-rebuild or a subdivision site for a premium. But in Brisbane right now, for example, the opportunity I saw looked like this; it was a 400 sqm piece of land and the builder was planning on building a 4-bedroom, 4-bathroom home on that piece of land. Ryan: How would you build that on a 400 sqm? Is it a 2-storey? Ryan: Is that $600K for the build and the land? Ben: $600K for the build and for the land. The feasibility he gave me in terms of the rental return was about $1,000 a week. It looked good enough for me to spark my interest and to talk to you about it today. Basically, the way that it was was the downstairs was a living area; like a shared living area with a shared kitchen, open area and a car port downstairs. And then, upstairs, there were 4 bedrooms, each with their own private en suite. It’s kind of difficult to explain without showing the plan, but the reality is it was nice-sized bedroom, like 3×4 meters upstairs with its own nice little private en suite. The concept is basically renting by the room and that’s how they’re making it work. As opposed to your traditional, which is just building a house or buying a house and putting one family in there. Ryan: This is obviously a more advanced strategy because we will talk about doing this in existing properties as well. But, it’s a more advanced strategy because when you’re building a house that’s 4-bedrooms, 4-bathrooms, a standard family in the area is probably not going to buy that. And so, you need to now what you’re doing when you’re doing that because re-selling that property could be more difficult, etc. There are risks that come with this. But, the idea that we wanted to get across to you guys is that there’s an opportunity that rather than just having a standard lease, that there’s opportunities to rent properties but the room and as a result, you can get a higher than average rental yield. You see this all the time in areas that have a university within that suburb. So you see people converting existing houses or building houses specifically for uni students and there are boarding houses where the people rent for the room and then there’s common areas. So the kitchen is a common area, the laundry room is a common area, etc. Ben: Exactly. I know they’ve been really, really popular in New Castle and New South Wales. And I know they’re extremely popular in parts of Victoria as well, in terms of the boarding houses. We’re not really talking about creating a boarding house in this Queensland opportunity, but more doing something to rent something by the room up there as well. Slightly different strategy, but along the same vein. Ryan: So we’re not talking about renting to uni students, are we? We’re just talking about creating an opportunity to rent by the room to everyday people. Ben: Yeah. The reason why this type of product is beginning to emerge outside of the university marketplace is there are almost zero affordable housing options for the average Australian. 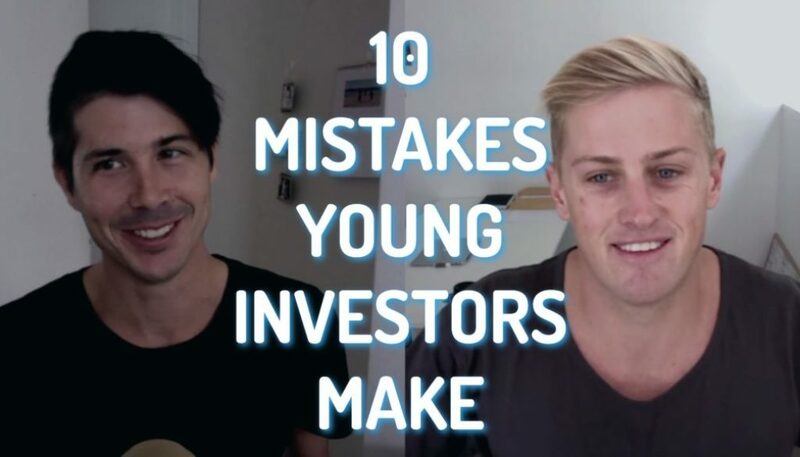 And so, when I have conversations with clients about granny flats, for example, or when I started to invest in secondary dwellings and stuff like that myself – dual income properties, I was really concerned about who would rent these places off me. But, the weird thing is, in New South Wales and in Queensland, I’ve never had a single week’s vacancy on a one-bedroom place. They rent like that because there’s nothing in the area that’s comparable, that’s affordable. 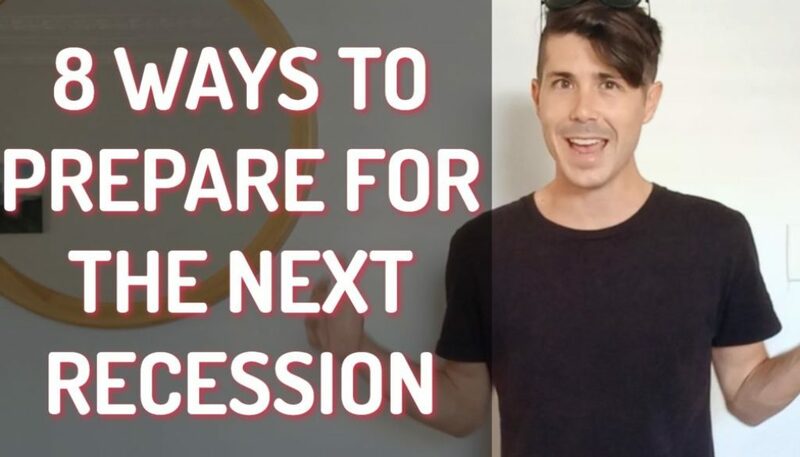 Let’s say, for example, you’re a young couple, you’re moving out of home to save some money for your first investment property or your first home. You’ve got people with bust-ups. You’ve got people that are fly-in, fly-out workers. You’ve got people that are young and would like to part of a shared house experience, but don’t want to move out with friends, for example. There’s this whole audience of people that you wouldn’t expect that would actually rent these things. Ryan: Yeah. Well, there’s even an older demographics of people who their marriage is broken up or their widowed or something like that and they’re looking for affordable accommodation because it’s just themselves and they don’t need a lot of room or a lot of space. It appeals to a whole wide range of demographics. It’s not just 20 year-olds or 18 year-olds who want to live together in a party house. There’s a lot of people in the market who are looking for affordable housing and they don’t want to pay for a 2-bedroom unit when it’s just one of them. It feels like a slightly inflated price for 1-bedroom and shared common area, but their other option is to rent their own apartment, which is going to be even more expensive for them. So it does make sense that there’s a lot of people out there looking for this affordable accommodation. Ben: One of my clients in Sydney, she’s actually involved in the whole healthcare industry in terms of providing this temporary accommodation for people where women that are in abusive relationships and things like that. So if you can actually reach out to a local community organization because it’s very expensive for them to go and build something like this themselves. It’s far easier for them to partner with a private investor and that investor to basically rent the rooms back to that organization and regardless if you’ve got a tenant in there or not, they’ll continue to pay the rent week-in, week-out because it’s much more affordable for them to do that. There’s so many different ways you can creatively get a better return on investment if you start thinking outside the box. Ryan: Yeah. Obviously, that’s not something that you just go to the market with. That’s something that you kind of need to form some sort of partnership of work with orgarnizations if you want to achieve that. Obviously, you could go out there, you could buy the land and you could build this sort of property. Do you think there would be difficulties getting council approval for something that had 4 bedroom and 4 bathrooms? Ben: Obviously, that’s area-by-area dependent. I know in this particular area of Brisbane it would be no problem because it’s legal to basically rent up to 4 bedrooms to 4 different un-related parties. It would slip through fairly easily. I think the problem you would have is a traditional bank valuer wouldn’t really understand the project and they would say it’s over-capitalizing in the area. Because the cost of 4 bathrooms is extremely expensive so they might ask you for a slightly larger deposit. Again, it’s a much more advanced strategy so you’ve just got to work through that stuff as it comes. Ryan: Yeah. So work with your mortgage broker, obviously, on that to try and find out, well, what exactly do we need and is this going to be feasible for me? Ryan: So what about existing properties? Because not everyone wants to build a new property but they might want to take an existing property, maybe that they already have or they want to go out there and they want to buy an existing 4-bedroom house or something and they want to do a version of this strategy. How would someone go about doing that? Ben: Sure. Again, it really comes down to the management and the area that you’re buying in. But, for example in Brisbane, we talked about a couple of options just before we started this conversation or this video. In terms of legally managing it, obviously, the ideal outcome for somebody that’s renting by the room is having a room with their own en suite, their own storage and a lock to that area so that they’ve got their own space. But, the average property in Australia is not going to support that, the average 4-bedroom home. So it means that these tenants are sharing bathrooms. They probably still want a lockable area to themselves with good storage. But, there’s so many different ways. In Queensland, for example Brisbane in particular, that you can do something like this. The tenants sign a co-tenancy agreement, for example. The owners takes on a head lease and rents to a number of individuals or tenant takes on a head lease and starts renting to individuals. Ryan: We’re getting a bit technical here. Let me slow you down a little bit. Basically, what you’re saying is that someone could take an existing maybe 4-bedroom, 2-bathroom house and actually rent that out by the room and the tenants obviously aren’t going to have their own bathroom, they’re going to be sharing a bathroom. But, you might just put locks on the doors to their bedroom and assuming they’ve got enough storage in there or maybe you can put some lockers or sheds out the back or they have lockable storage, too. I think what we’re trying to say is that people need affordable accommodation. In a perfect world, yeah, they would have their own en suite and they’d have a room with great storage and be able to lock it up. But, these people want affordable accommodation and often, just having a room and a shared bathroom is going to be fine for them because of the savings that they’re going to have. Are we saying that, yes, you could potentially – obviously, depending on the area and stuff like that – take a 4-bedroom, 2-bathroom house or even a 3-bedroom, 1-bathroom house and rent it out by the room? Ben: Yeah, potentially, exactly. Obviously, there’s some things that you’ve got to consider; like fire-proofing walls, potentially, which we’re not sure about. You just have to work with your local property manager, your local town planner. Ryan: And your insurance company as well. Ben: And your insurance company to make sure that everything is covered before you even consider doing this. But, if everything stacks up in that local area, absolutely. There’s plenty of people renting by the room around Brisbane right now. Ryan: If people wanted to do this, it would be that hard to talk to a town planner, to call up your insurance company and to talk to local rental managers and to say, “Well, can I do this?” It wouldn’t be that hard to work it out. Few phone calls, a bit of research and you’ll be on your way. Potentially, getting a higher-than-average rental return for this. What I think you started talking about, which I’d like to go through, is just the management of this. Because a lot of people would be nervous that, would they have to manage this themselves because obviously it’s more complicated than a regular lease or can you just get a rental management company or a real estate agent, like you would, to manage this instead? Ben: A lot of people that own these sorts of properties actually do manage them themselves because a lot of people that buy these types of products are looking to replace their income, leave work and it becomes a kind of part-time job for them to do it if they’re in their local area. Ryan: I have also seen people who, like, they’ll live in the property and they’ll have one of the rooms and then they’ll rent out the other 3. Ben: I’ve seen that as well. My friend’s dad does that as well. That works really well because you can control who comes in and out and who stays as well. I suppose that’s a really good segue into one of the ways that you can do this, which is the owner taking a head lease and then finding individuals to take sub-leases from them. Without getting too technical about all of this stuff, it’s basically the owner taking the tenancy agreement and then renting by the room to different people on different leases. They assume all the risk, but they also have the control over who moves in and out. Ryan: Yup, and that would be if the owner was managing it themselves, right? Ben: That would be if it’s managing themselves or they might have a property manager that they trust that can do this for them. Ryan: Yeah. We’re going to go a bit technical here, guys, and talk about the management ideas behind it. But, a lot of this can be discussed with your rental manager and just worked out. A lot of it is slightly different way to legally do the same thing. Don’t get overwhelmed with the terminology that we’re using and stuff like that. I think one of the options that we talked about was just an option to have co-lease agreements. That would be you have a lease agreement that the 4 people in the house sign and they each pay a portion of their bond and when one person moves out, the new person is added to the lease agreement and the old person is removed. The new person pays their bond, the old person gets their bond back, etc. It’s slightly harder to do than just a regular lease agreement to one person, but it’s definitely manageable and it’s not that hard to achieve. Let’s say we get a rental manager to do this for us, I’m guessing not every rental management company out there is going to do it, so we need to call around. Is this going to be a lot more expensive than a regular rental manager or is it going to be similar? Ben: It really depends management to management. There’s some companies that just do this. I think you really want to find a partner with experience in it because most managers aren’t used to 4 un-related parties living in one house all with their own agreements in place and moving tenants out in and out so regularly. But, yeah, anywhere from 7-10% sort of management fees. In some instances even higher, up to 20% in some cities in Australia. So, yeah, you are going to pay a little bit more in management, but you’re also getting a significantly higher return than the average in the suburb as well. Ryan: Yeah. Let’s use a comparison for people to say – I remember you were saying something about; say you rented a 4-bedroom, 2-bathroom house just to one person versus renting a 4-bedroom, 2-bathroom house to 4 people. Do we have any examples of the increase we can expect or was it really so specific to the area? Ben: It’s specific to the area, but a scenario might be; you buy a 4-bedroom, 2-bath, 2-garage home on a 400-sqm block for $400,000. And then, you rent that house out for $400 a week to your average family. The difference here is that if you were to rent by the room, you might get anywhere between let’s say $150 and $200 a week for each of those rooms in that house. So your rent could be between $600 an $1,000 a week for the same thing. Ryan: Yeah. Again, obviously, it really depends on the area. But, because people need this affordable housing and because it’s an option that isn’t widely available, it feels like you’re over-inflating the value, but you’re not really because it’s what the market wants. It’s what the market is willing to pay for. If you’re renting for $150 a week, you’re still saving yourself an absolute fortune. Yeah, maybe it’s not ideal, but it’s short term accommodation. Most of these people will only stay for 12 months or so. Ryan: Yeah. I’m thinking about mates who live in the city or quite close to the city in Sydney and they do this. They have 4 bedrooms, 2 bathrooms or even just 1 bathroom and they all co-lease together and they pay under $200 a week each person to live in that house. But then, if they were to go, the other option would be a studio unit in Sydney somewhere or a 1-bedroom unit, you’re looking at way above $200 a week, you’re looking at $400, $500 a week or something for a 1-bedroom unit so you can see why people would do this. It’s a significant saving. Ryan: I’m just thinking I’m married and I have 3 kids. Imaging us trying to co-lease or something like that as such a big family unit of 5 people. It’s not feasible for us. It’s not something that we would want, but, yeah, a single person who doesn’t have any kids that they’re looking after or something, it would be so much easier. Ben: I just imagine the 5 of you in 1 room with 3 other families with 5 people as well. Ryan: Okay, so for every room, you have to have at least children to get accepted into this 4-bedroom house? So there’s going to be 5 people in each room, so there will be 20 people in the house? It’s going to be bedlam, mayhem! Ben: The only type of accommodation I’ve seen like that I think is in the Northern Territory. Ryan: Or in other countries, like India or something like that where they all share one room. Ryan: I think you guys get the idea. I think you get the concept. Maybe don’t rent out your 4-bedroom house to 20 different people because that probably won’t work very well. But, renting by the room can be a great way to increase the rental yield of your property. So, if for some reason, you need a higher rental yield or you want a higher rental yield to maybe replace your income, to pay down some debt, whatever reason it may be. There’s a lot of reasons that people want to make more money. This could be an opportunity. There’s the opportunity to buy land and then to build it specifically for this purpose or to take an existing property and rent it by the room. I think the cons of doing this are it’s going to be harder to find a rental manager. Rental manager is probably going to cost more money. There’s going to be more fluctuation in terms of who’s renting there and so, that’s going to be probably slightly more work. Probably a bit more wear and tear on the property as well. But, the benefit is that you’re all this extra income and the ideal is that the extra income more than pays for the effort and the expense that goes into having these extra people. Ben: Absolutely. I think it suits people with a really negatively-geared portfolio. I wouldn’t say go out and by 10 of these because it’s an extremely high-maintenance style property to own and all the things that you just said. 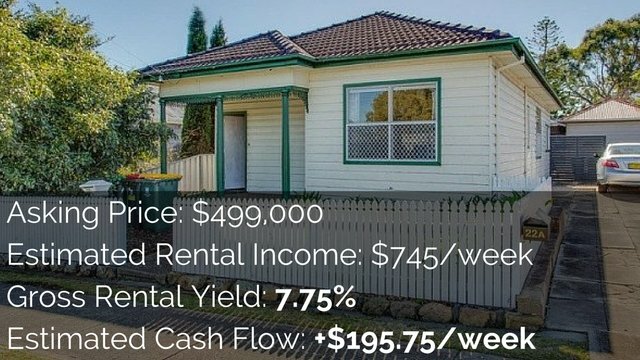 But, for somebody that’s got a property in Sydney or Melbourne that’s negatively-geared $300 per week, an extra $300 of passive income from something like this may well help offset that current deficit. And as interest rates rise, it would create a bit of a buffer as well. Ryan: Yeah. And it’s something for people to think about as well. 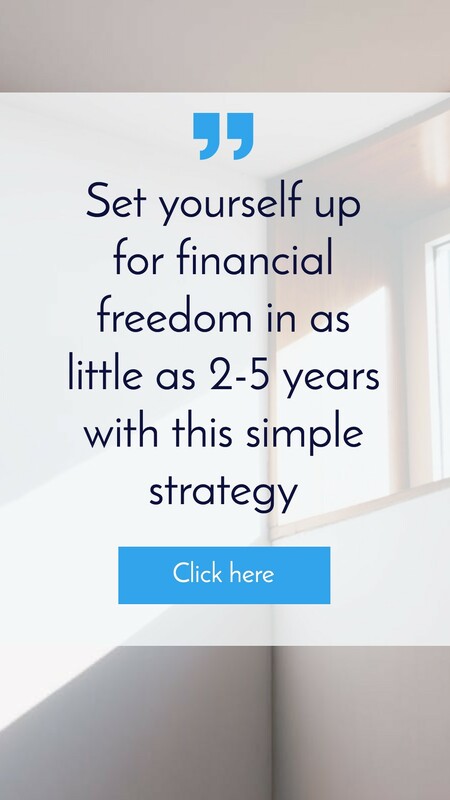 Let’s say you get to the point where you own a few properties and you’re kind of getting a passive income but it’s not enough to allow you to quit your job. Converting to something like this could actually boost your income enough for you to become financially free and you could live in it as an owner or just rent it as a rental manager and that could be an opportunity. You see people’s lives change all the time. People lose their jobs and they can no longer afford to pay their mortgage and to live in the property themselves. And so, they might want to rent it out by the room or do some Airbnb or whatever it may be to get some extra income coming in. 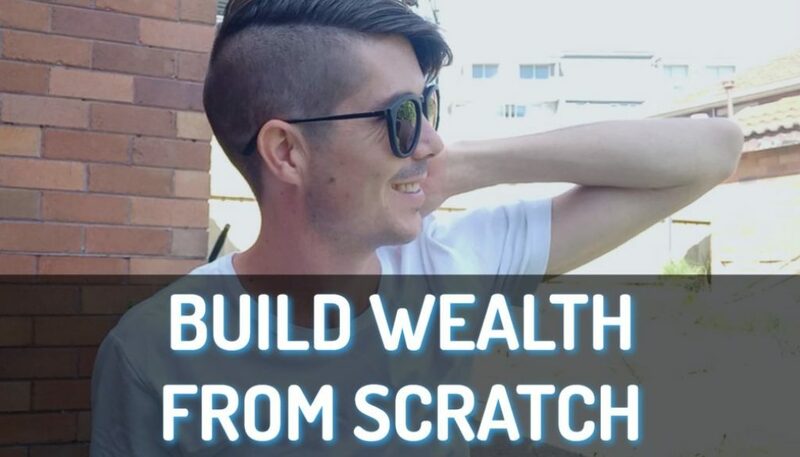 This could be an advanced strategy that you use as part of your portfolio-building or it could be something to just keep in your back pocket in case a situation arises where you want to do it to achieve just to boost you forward to financial freedom or maybe you need the extra income. It’s just something great to keep in the back of your mind as an opportunity. Ben: Absolutely. That’s all it is. Ryan: I guess we’ll just finish it off there because we’ve presented you guys with the idea. Hopefully, you’ve taken this onboard as an interesting idea. I did want to ask you, have you helped anyone do this? Do you help people do this if they’re interested and want some help? Ben: No. This is a much more hands-on active investor. Something to go out and create yourself. I can definitely point people in the direction of people that can help do this that do this for a profession and a job, but it’s not something that we help people do as buyer’s agents. Unless, you wanted to go down the brand-new option. Because finding an existing property and the mine field that exist around compliance and things like is just too much for us to want to take on. But, if people are interested in doing this under a brand-new arrangement, we can help them source the land, introduce them to a builder and a manager that could help them throughout the entire process. Ryan: Yeah. So if you’re interested in building, then you can go ahead and talk to Ben. You can check him out, but if you want to do it in existing property, you’re on your own. Ryan: No. There’s lots of people out there that I’m sure can help you if you’re interested in this. But really, as we talked about, it wouldn’t be that hard to work out whether or not you can do it yourself. So you guys will be all right, you’ll be fine. Ben: You’ll be all right. To finish that off, so that we’re not just leaving people hanging because we don’t want to just leave people hanging. I know there’s a guy in the Australian market that specialized in affordable accommodation. His name is Ian and he’s one of the coaches in the Dymphna Boholt program. I think he actually runs a program for about $4,000 called the High Income Real Estate System, so you can probably google that. His name is Ian Ugarte and he’s a guy, we’ve got no association either of us with him in any way, but I just know from experience of sitting through his workshops that this is something that he does and he’d be a good point of contact if you’re really interested in pursuing it. Ryan: Yeah. So if you’re really interested and you really feel like you want some help, you can call up this guy. But, we don’t have association with him. I can’t vouch for him because I’ve never heard of him before, but something that you guys can explore. Well, we hope that this idea has inspired you guys. We hope that this is something that may be useful to you in the future. We’re going to leave it there for today. I hope you guys have the best day ever. And until next time, stay positive.